HomeDecoratorsHome Decorators Collection was a furniture retailer known for their unique approach to home decoration. The company was a favorite of many home decorators – even before internet shopping was completely mainstream. Before the upsurge in popularity of internet shopping, many people got inspiration from catalogs in the mail. And while Home Decorators Collection not only had regular catalogs jam-packed with choices, they had a great website as well. Once lauded nationwide, the decor company seemingly faded into obscurity shortly after being acquired by Home Depot in 2006. Additionally, the reviews left for the company aren’t as favorable as they used to be. This was no small company – Home Decorators Collection had 3.3 million people on their mailing list at their peak, so what exactly changed? What is happening with Home Decorators Collection Catalog in 2018? Home Decorators catalog was founded in 1991 in Atlanta, Georgia. It later moved its base of operations to St. Louis, Missouri. The company quickly became a local hit. Its tasteful and relatively inexpensive products attracted the attention of many frugal homeowners looking for style on a budget. One of the most popular items sold by the company were their rugs. While a high-quality rug with a tasteful pattern can cost hundreds of dollars, previous rugs sold by the home decor company rivaled the quality of much more expensive rugs. Home Decorators Collection sold furniture of all kinds. Its couches, beds, and desks were particularly popular. It was also well known for its wide selection of quality rugs. Its dedicated customers praised its intuitive, easy to navigate website and excellent customer service. Within a few decades of opening its doors, Home Decorators Collection had a following of millions – quite an achievement before the dawn of the internet age. The company gradually spread across the St. Louis area until it caught the notice of Home Depot. At the time, direct and internet retail spending was increasing at breakneck speed, and home improvement retailer Home Depot wanted a piece of the pie. 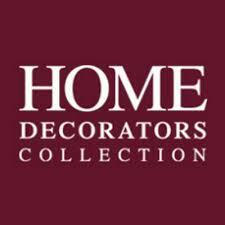 Home Depot purchased Home Decorators Collection in 2006 for an undisclosed price, transferring ownership of 3.3 million customers and doubling their furniture catalog in the process. The company was integrated into Home Depot Direct, which sells merchandise directly to customers through catalogs and the internet. At the time, Home Depot direct sold tools and home merchandise under a variety of sub-brands. It also sold high-end merchandise under the labels Pace Trading Company and Crescent Lane. 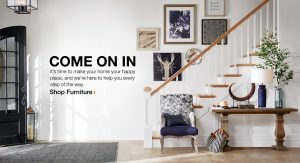 Home Depot’s acquisition also brought them 65,000 new furniture items and 185 trade relationships worldwide. The exact details of Home Depot’s acquisition were not disclosed. In 2006, Home Depot was much more popular than it is today in 2018. It ended the fiscal year of 2005 with 81.5 billion in sales. In 2018, the company made $23.9 billion in sales – a decrease of 75%. Unfortunately, as when Home Depot’s popularity began to plummet, it began to bring down Home Decorators Collection with it. Why did Home Decorators Collection’s Quality Go Downhill? Prior to the acquisition, Home Decorators collection had a cult following among homeowners nationwide. However, it seemed that all the things customers lauded about the company changed shortly after Home Depot’s acquisition. The signature quality and style of the beloved brand changed, presumably from Home Depot’s choice to switch up manufacturing processes. Now, the items looked and felt generic and low-quality. 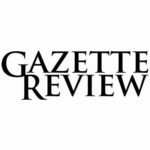 Many review sites for Home Decorators Catalog are now saturated with negative reviews lamenting the downfall of the company. Previous loyal customers have noted that wait times are longer, the site is less intuitive, and current products are just not as good as they used to be. While there are some exceptions, the outlook is grim overall. One of the other things that made Home Decorators Catalog stand out was its great website. Customers could easily navigate to whatever they wanted with minimal effort. Additionally, there were showroom photos provided for almost every item, which gave customers a solidified idea of how much space their chosen furniture item took up. After the merge, all of the items were moved into Home Depot’s online catalog, in a much less organized fashion. Given that over a decade has passed since the merge, it’s unlikely that former Home Decorators catalog customers will rise up and protest – reviews online indicate they have already moved on. Many customers have happy memories of the company that once served them and their families, and some still hold on hope for the future too.